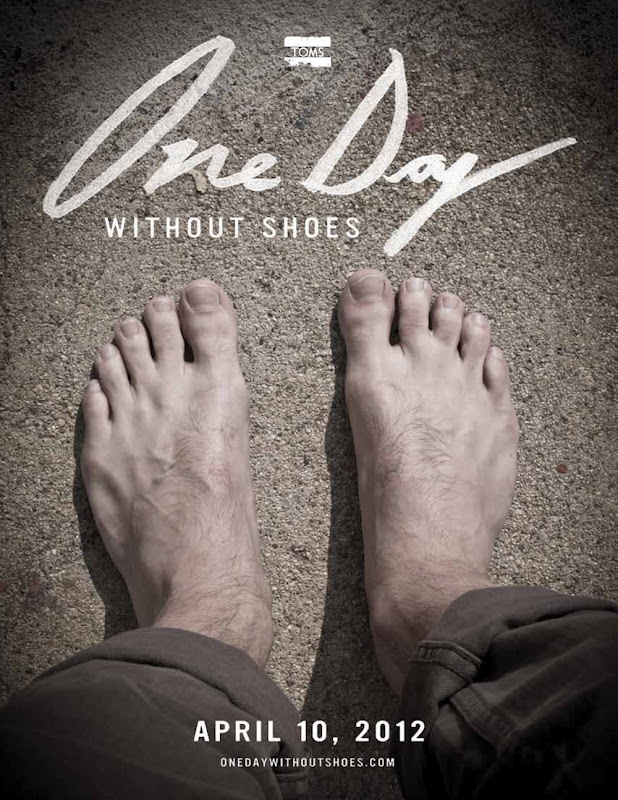 Fashion Media PH: Let's Go One Day Without Shoes on April 10! Millions of children around the world grow up without shoes and at risk of disease and infection. TOMS' One Day Without Shoes is the day we raise awareness of the impact a pair of shoes can have on a child's life. TOMS Philippines is joining the rest of the world in heralding this cause on April 10 at Greenbelt 3 Park in Ayala Center, Makati. The Philippines is now a beneficiary country and thousands and thousands of children across the nation have already received shoes. By having your support, TOMS hope to encourage greater awareness of this advocacy and even more giving! 1) Taking a photo or video of your group barefoot to encourage others to go barefoot too!2) Helping spread the word by posting about it on Facebook or tweeting about it on Twitter (#withoutshoes)! JUST TAKE 'EM OFF and pretty soon you'll be changing lives!